Lift yourself or a loved one up this week with a free printable that is perfect for their lunchbox, bedroom, or anywhere they need a reminder they are loved and that Christ will strengthen them, help them, and cause them to stand with a hand or a hug. There are a few of my children that have been having a hard time lately. As a mom, that's really hard to handle. I want to make all of their problems go away, but I know that they need to find the strength inside themselves to handle life's challenges. I've been making these little printables for them for the past few weeks to slip into their lunch boxes, on to the steering wheel of the car, in their bedrooms, basically anywhere they will see it so it will uplift their spirits and let them know their is hope and it will get better. After a few weeks of this, I was thinking that maybe you, or someone you love, might be struggling too. Maybe you could use a little "pick me up". I find inspiration for these little printables in music, books, movies, quotes, and life around. 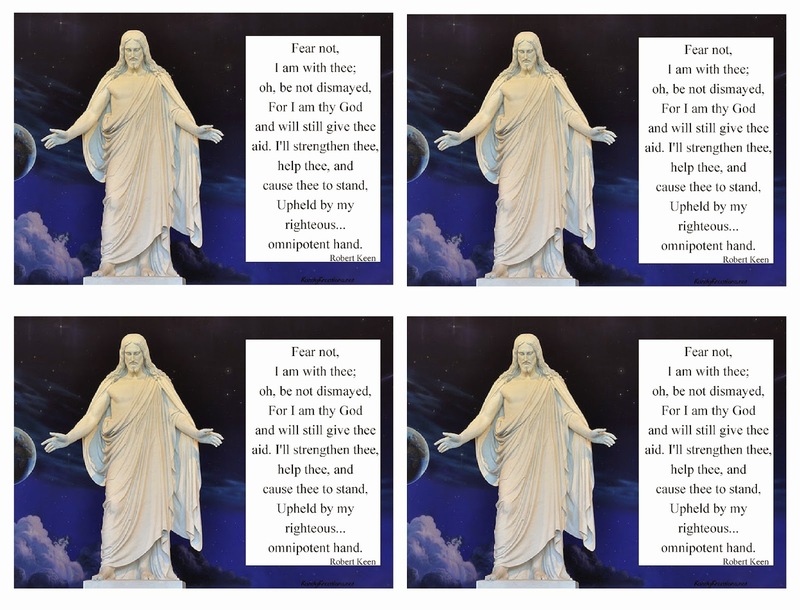 This week's printable was inspired by a song we sung at church this week entitled "How Firm a Foundation." 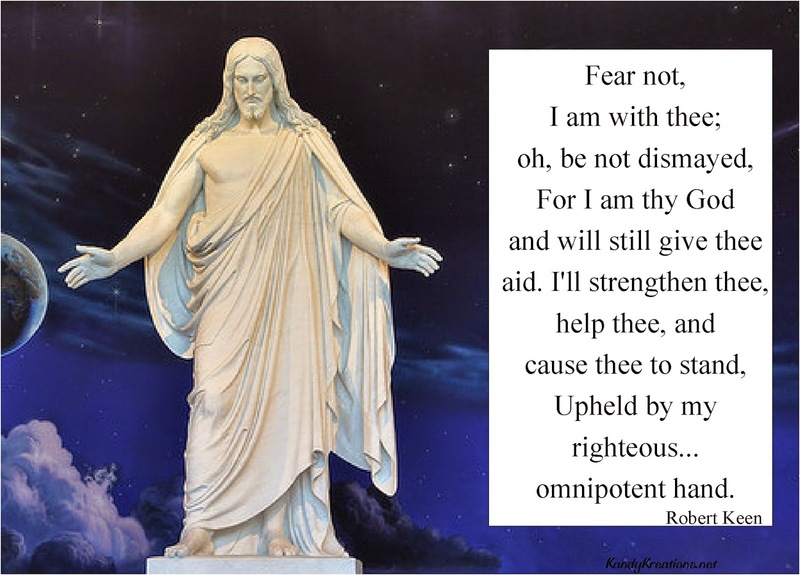 I loved the saying about how Christ wills strengthen us, pick us up, and give us aid when we need it. And looking at the beautiful Christus statue I feel like he's standing there ready to give each of us a hug and a hand up and out of life's problems. 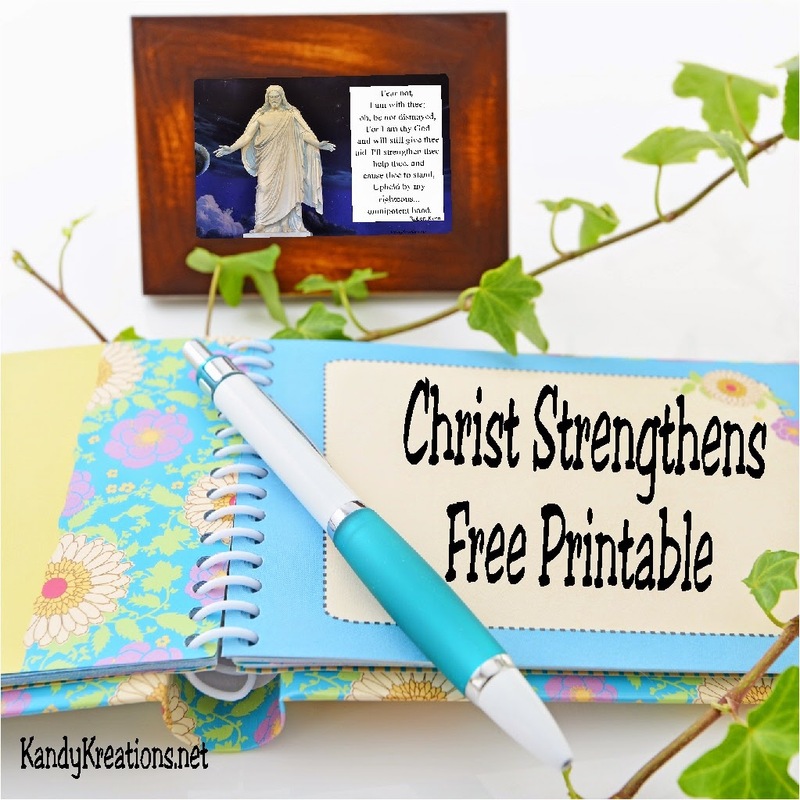 I hope this free printable will remind you that Christ will lift you up out of your problems if you'll just take his hand and let him. And here is the printable if you want to print several for all your kids' lunches. And if you need a little pick me up this week, listen to these beautiful "kids" sing the song.